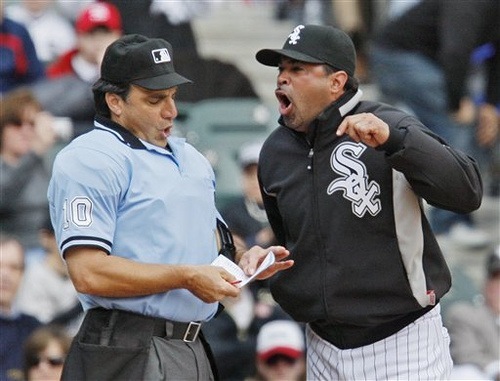 Ozzie Guillén is the manager of the Miami Marlins, one of several high profile Latin acquisitions the club made in an attempt to appeal to south Florida's large Latino population. The Marlins' overtures to this community even went so far as the opening of a new stadium in Miami's "Little Havana" neighborhood. 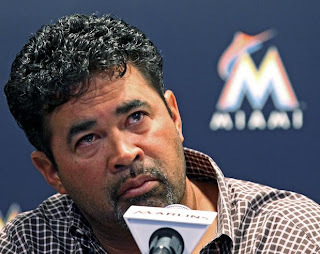 After only five games in the dugout, though, Guillén, a famously controversial figure, has made the Marlins cringe in the worst possible way. In a recent interview with Time magazine, Guillén apparently expressed his admiration for Fidel Castro. Google "Guillen Castro" for more stories on the subject than you can shake a stick at. Suffice it to say that this is a large problem for the Marlins, which exist in the midst of a city populated largely by Cuban refugees and their descendants. Guillén apologized in a press conference yesterday (4/10), blaming internal translation issues (he claims that he was thinking in Spanish and trying to speak in English, and didn't say what he really meant) for his blunder. The question now becomes, "Will the Miami community accept his apology?" Yesterday on the Mike Lupica radio show, Don La Greca suggested that there are some people who won't forgive Guillén, whatever the quality of his apology. In other words, no amount of contrition will be enough. He likened the reluctance to forgive to the class of people who, no matter what, can't forgive Michael Vick for what he did to dogs. When I heard his comment, my first thought was, "How can you possibly compare one man's verbal support of an unpopular (albeit a really unpopular) politician to another man's murder of animals? One is just a spoken thought, while the other is a nefarious action!" And then I remembered the worst verse in the Bible. Matthew 5:22: "But I say to you that every one who is angry with his brother shall be liable to judgment; whoever insults his brother shall be liable to the council, and whoever says, `You fool!' shall be liable to the hell of fire." One of the criminals who hung there hurled insults at Jesus: “Aren’t you the Messiah? Save yourself and us!” But the other criminal rebuked him. “Don’t you fear God,” he said, “since you are under the same sentence? We are punished justly, for we are getting what our deeds deserve. But this man has done nothing wrong.” Then he said, “Jesus, remember me when you come into your kingdom.” Jesus answered him, “Truly I tell you, today you will be with me in paradise” (Luke 23:39-43). Also, the new Marlins Ballpark was not strategically setup in Little Havana to appeal to the Latin community. The Marlins Ballpark was constructed in the same spot that the famous Miami Orange Bowl was since 1936. It was a win-win situation to place the ballpark on this site as the location is an already known sporting events location & site.